The album shines well-merited limelight on the largely unsung but gifted Iola Brubeck. 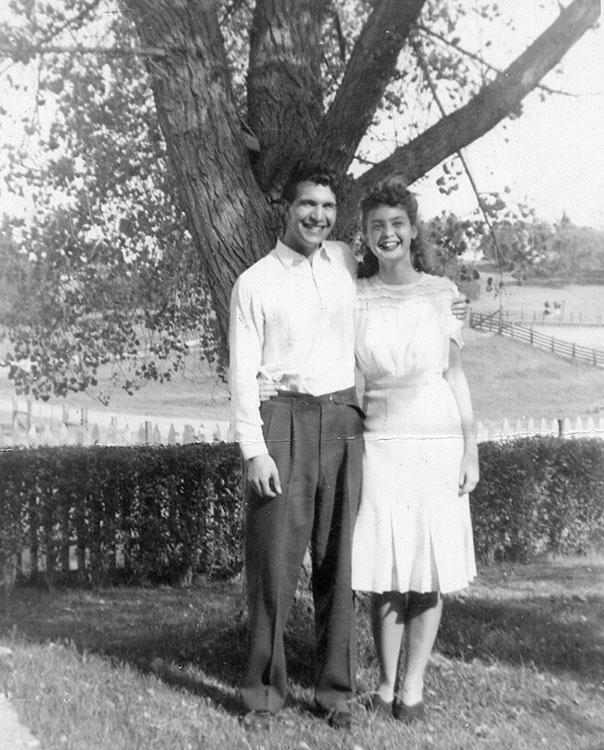 Dave and Iola in 1942. One of the many benefits of the two-CD album is that it shines well-merited limelight on the largely unsung but gifted Iola Brubeck, and on the creative, vital role she played in Dave’s incredible rise to fame and fortune. That Dan, one of the four musician brothers in the Brubeck family’s musical dynasty, would pay tribute to his late father, the jazz and family patriarch, world-renowned pianist, composer, bandleader, and longtime Sage of Wilton, is of course no surprise. 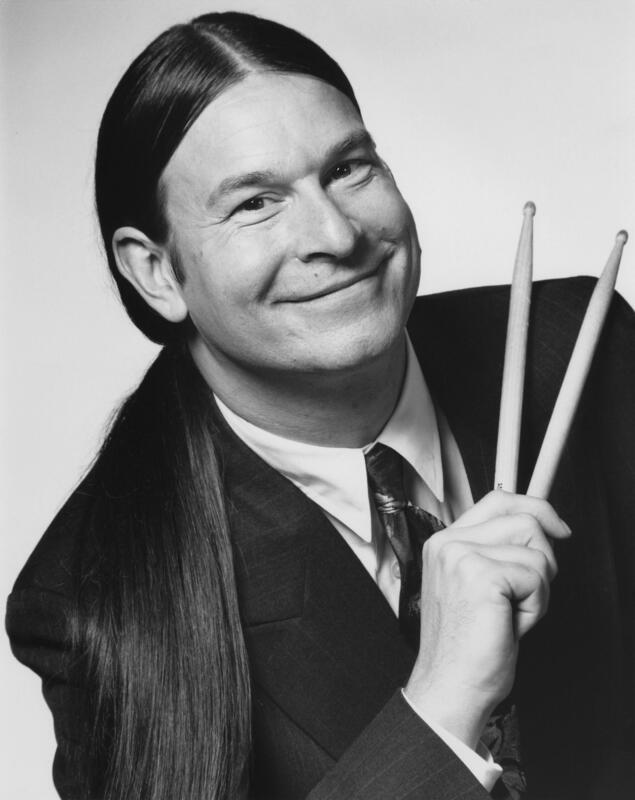 But what might be an eye-opener for some Brubeck fans -- even those who go way back to the Dave Brubeck Quartet’s now classic series of groundbreaking, enormously popular jazz goes to college recordings -- is the equal homage that Dan extends to his late mother, Iola. Iola was a gifted, sometimes wryly amusing lyricist/librettist, a perpetually invaluable behind-the-scenes collaborator, lifetime inspiration, and loving partner for Dave through their 70 years of marriage. Right from the earliest hardscrabble days together -- with the couple scuffling to pay the rent for a humble, dirt-floor, corrugated tin cabin, and put food on the table for their kids -- Iola handled the business side of her husband’s career. Dave abhorred those day-to-day details as a visionary idealist. Iola’s deft diplomatic skills are even credited with healing a once painful breach between Dave, an easy going Jimmy Stewart kind of a guy, and his great friend and collaborator, the brilliant, witty but somewhat eccentric alto saxophonist Paul Desmond. "Not a lot of people really recognized what my Mom also achieved." “Everyone has always given so much praise to Dave for everything he did, and quite rightfully so. But not a lot of people really recognized what my Mom also achieved. I’ve always really loved the lyrics she wrote for my dad. She was an amazing, really smart woman, politically astute, with a sense of humor. 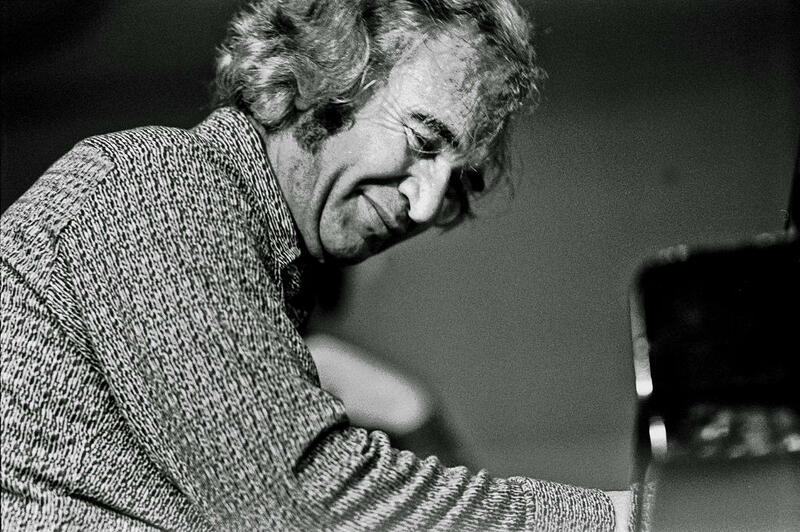 And that all comes out in her lyrics,” said Dan Brubeck, explaining how he hopes his new album on Blue Forest Records might bring his late mother’s reputation the recognition he feels it so richly merits. His beloved parents, he stresses, were like champion teammates, each bringing out the very best in the other in an ideal, mutually beneficial, two-way alliance that may have been overshadowed by Dave’s enormous individual success. As the Horatio Alger, scorn-to-reverence jazz saga of the 1950s, Brubeck’s hard-earned ascension to international fame and critical acclaim might never have happened, Dan suggests, but for Iola’s less than heralded but no less pivotal and multi-faceted support. “I don’t think Dave would have been successful without Iola. I just don’t think it would have happened,” Dan said from his home just outside of Vancouver, British Columbia, Canada. “Because for one thing, Iola really believed in him. And Dave could get very insecure and down in those dark early years,” he said of his introspective father who was well-known for his deeply ingrained modesty and highly self-critical standards, qualities that never diminished despite his many later artistic triumphs and worldwide adulation. Never publicity hungry, Iola thrived on being the dedicated, behind-the-scenes figure. Never publicity hungry, Iola thrived on being the dedicated, behind-the-scenes figure, serving in such varied roles as Dave’s chief lyricist/librettist and as his psychologically and spiritually inspiring cheerleader, an empathetic, subtly catalytic force who could dispel her genius husband’s self-doubts. Besides being his smart, multi-purpose, problem-solving manager, she was also -- and quite happily so -- the quintessential, All-American Mom who raised six kids with Dave, who was, besides being a jazz icon and a mass media celebrity, also a generous and equally devoted dad. When not writing lyrics for Dave’s songs or original poems that he would later set to music, Iola, in her own sweet way, handled everything else at home, from meals to getting the Brubeck kids to and from their music lessons, overseeing their childhood and teenage activities as they grew up in the always packed, vibrant, music-rocking family homestead in Wilton. For its many guests, whether it was Dave’s music pals like Paul Desmond, Joe Morello, Gerry Mulligan, and Eugene Wright, or Iola’s actor friends like Sandy Dennis and Barbara Baxley (Dan’s godmother), or other associates and relatives, the welcoming Brubeck digs, ensconced on beautiful pastoral grounds, were known to one and all as the Wilton Hilton. California natives, Dave and Iola became Connecticut transplants in the early 1960s as the couple built their California-inspired, modern day, family dream house, which was designed for them by the famous California architect Beverley David Thorne. 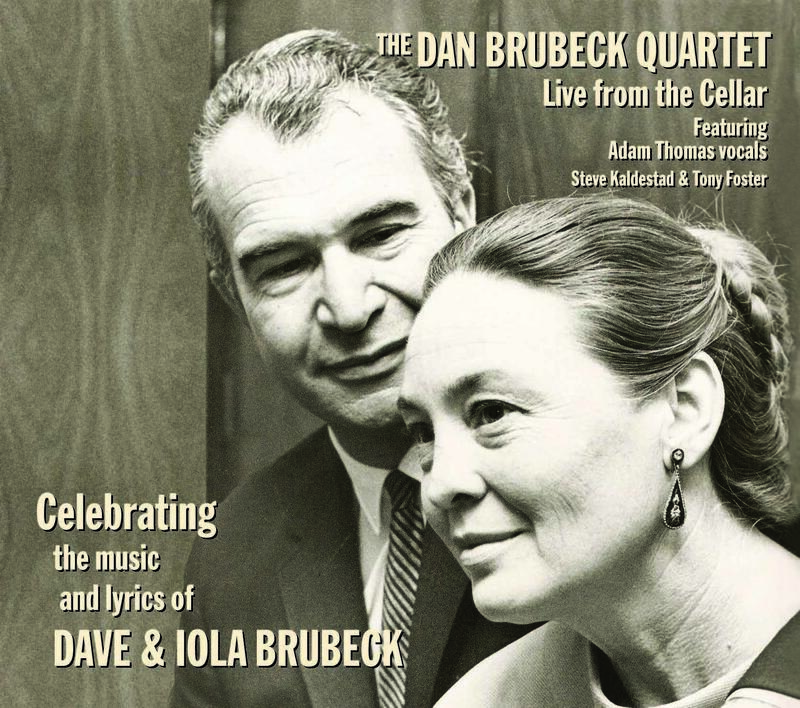 The cover for the album dedicated to Dave and Iola Brubeck. Perhaps most important of all -- at least in terms of propelling Dave from penury and obscurity to becoming one of the 20th century’s most famous names in jazz -- it was Iola who came up with the brilliant idea for those famous “jazz goes to college” recordings. Albums like Jazz Goes to College and Jazz Goes to Oberlin won over a generation of young, devout Dave Brubeck Quartet fans. Their devotion skyrocketed the modest maestro to the sort of fame rarely experienced by jazz musicians, along with numerous artistic triumphs, record sales in the millions and acclaim for both his jazz pieces and extended, religious and humanitarian-inspired musical works of vaulting artistic ambition inspired by spirituality and idealism. “Without Iola, I don’t think the Dave Brubeck Quartet would have gone to the college campuses. She just started contacting universities and colleges, saying, ‘Look, they’ll come and play for next to nothing.’ And that’s what they did, barely making enough money from each gig to get to the next. But playing on the campuses built up a huge following of really devoted fans from the college and university level, who were going nuts for the quartet,” said Dan. With all that history in mind, Dan set about to find the ideal band for his project to honor Dave, who died on December 5, 2012, a day short of his 92nd birthday, and—in equal measure -- Iola, who died at 90 on March 12, 2014. While the project was in its early stages, Iola was still alive, and even went on the road with Dan and his brother Chris, a noted trombonist/bassist/composer. In fact, before Iola died, she managed to write incisive liner note commentary on a number of songs for which she wrote the lyrics, ranging from “In Your Own Sweet Way,” which Dave had composed as a musical portrait of her, to the snappy, "It’s a Raggy Waltz," the elegant “Strange Meadowlark,” and other songs graced with her poetic reflections on the seasons, love, and sadness. Mini-poems written in a romantic American grain, Iola’s lyrics -- even though you’ve probably never heard them before -- somehow immediately sound like the words to venerable standards from the American Songbook. When you hear them sung in the instrumental context of the tribute album, they sound like a perfect fit for Dave’s musical musings, a melody and word union made in songwriting heaven. After searching the Vancouver area for the best and most compatible musicians for his project, Dan handpicked saxophonist Steve Kaldestad, pianist Tony Foster and, in a surprise bonus, bassist Adam Thomas, who, to the bandleader’s surprise, also sings. In fact, Thomas was exactly what Dan was looking for to convey his mother’s lyric legacy. To Dan’s shock and delight, Thomas is an authentic, literate singer with a genuine appreciation and understanding of how lyrics work. An expressive interpreter of words and melody with an ability to swing, Thomas is completely free of over-the-top emoting and dramatically hammy gesturing and posturing, melodramatics hailed by some as signs of true vocal greatness. All about matter rather than manner, the singing bassist is exactly right for the role Dan has cast him in for his cool, calibrated celebration of his parents’ writing and composing gifts. While lyrics are certainly given their due, Dan’s fine band does get to stretch out a bit on pure instrumental renditions of Paul Desmond’s mega-hit, “Take Five,” and Dave’s “Blue Rondo a la Turk.” Dan gets to display his fluent, melodic drumming style on these famous tunes’ odd time signatures. But the central, unifying focus of the total project, he stresses, is not on him or his first-rate Vancouver sidemen, but on his homage to his parents and their creative collaboration in both art and life. As part of a release-promoting, summer tour of Canada and an appearance in Saratoga, NY, Dan will perform material from Celebrating the Music and Lyrics of Dave and Iola Brubeck on September 20 with his quartet at the historic Weir Farm National Historic Site in his old hometown, Wilton. He’ll be accompanied by Adam Thomas, bass and vocals; Mike DeMicco, guitar; and Chuck Lamb, piano. Weir Farm preserves the former home and workplace of the distinguished painter, J. Alden Weir (1852-1919), a leading figure in American art and the development of American Impressionism. Information: nps.gov/wefa and (203) 761-9945. The free, outdoor Springfield Jazz and Roots Festival is back for an encore run of fun and funk as it presents a steamy gumbo of jazz, gospel, blues, Latin jazz, salsa, New Orleans-seasoned sounds, and more on August 8 from 11:00 am to its grand finale that hits at 8:40 pm in downtown Springfield’s historic Court Square. 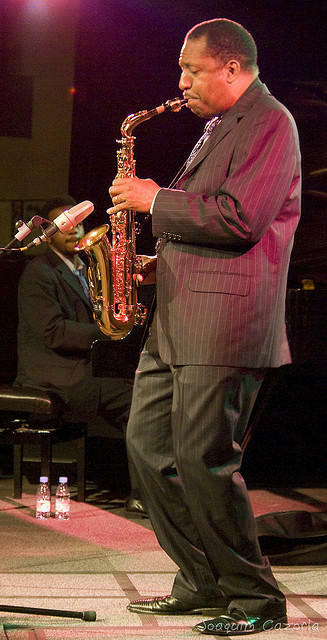 Saxophonist, singer and actor Donald Harrison. Picking up where it left off with its upbeat debut last summer, the festival’s fare ranges from saxophonist, singer and actor Donald Harrison -- a Big Chief for The Congo Square Nation Afro-New Orleans cultural group -- and the great New Orleans pianist and vocalist Henry Butler, who performs with the group, Butler, Bernstein and the Hot 9. On his 1991 album, Indian Blues, Harrison, a multi-talented, master blender, combined the Afro-New Orleans style with R&B, hip-hop, soul, rock and jazz, developing his hybrid genre called Nouveau Swing. A noted educator, he has taught and mentored many musicians including trumpeter Christian Scott and rapper The Notorious B.I.G. Quite famously, he appeared on nine episodes of the HBO hit series, “Treme,” which showcased some facets of his life and music. 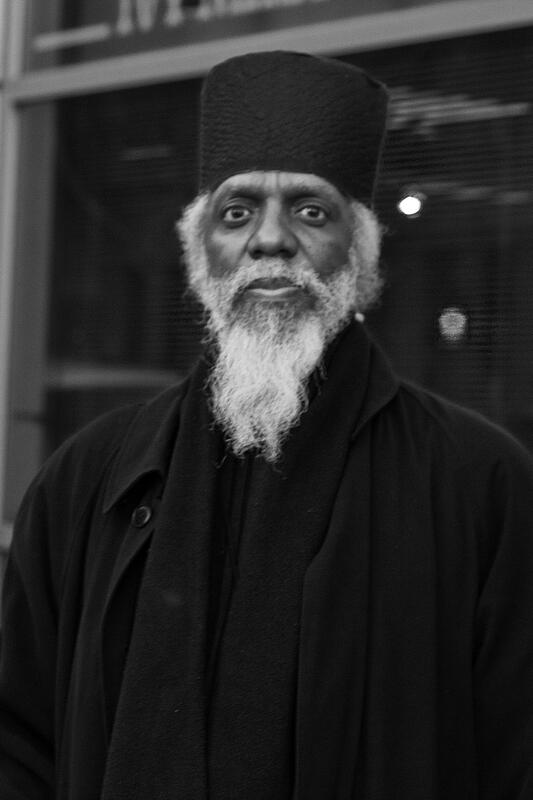 Big Chief Harrison’s special guest is none other than the venerable, also flamboyant organist Dr. Lonnie Smith whose eclectic prescriptions include jazz, blues, and R&B, with covers of everybody from The Beatles to The Eurhythmics and tribute albums dedicated to such titans as Jimi Hendrix and John Coltrane. Butler, a Crescent City keyboard kingpin, collaborated with Steve Bernstein, a trumpeter/bandleader/composer and Grammy winning arranger, on the Hot 9’s first album, Viper’s Drag, in 2014, a release marking the rebirth of the revolutionary jazz record label, Impulse! Also on tap for the free fest are Jesus Pagan & Conjunto Barrio, grooving on all things Latin from salsa to meringue; the Jeff Holmes Quartet with Dawning Holmes; saxophonist Elan Trotman; vocalist/songwriter Deva Mahal, daughter of the legendary blues musician Taj Mahal; bassist/composer/bandleader Avery Sharpe leading his homage to gospel great Sister Rosetta Tharpe with the New England Gospel Choir, singer Angel Rose and the soulful saxophonist Charles Neville. Although Bill Crow has been an excellent and industrious bassist and consummate sideman since the height of the Golden Age of modern jazz in the 1950s, the 87-year-old jazzman might well be most celebrated for his groundbreaking accomplishments as a writer and grand master compiler and preserver of classic jazz humor in his famously funny and invaluable collection, Jazz Anecdotes. Classically trained and a member of the elite International Roster of Steinway Artists, the Stamford-born-and-bred pianist Joyce DiCamillo is most celebrated for her three decades of consummate mastery of the fine art of the jazz piano trio. Summer in Hartford just wouldn’t be the same without the sizzling sounds and celebratory mood generated by the Monday Night Jazz Series and the Greater Hartford Festival of Jazz, two free, major outdoor festivals that for decades have drawn tens of thousands to the city’s downtown Bushnell Park in July and August.